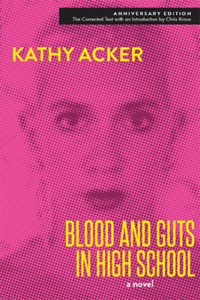 “Dear dreams, you are the only thing that matter,” Kathy Acker wrote in Blood and Guts in High School. 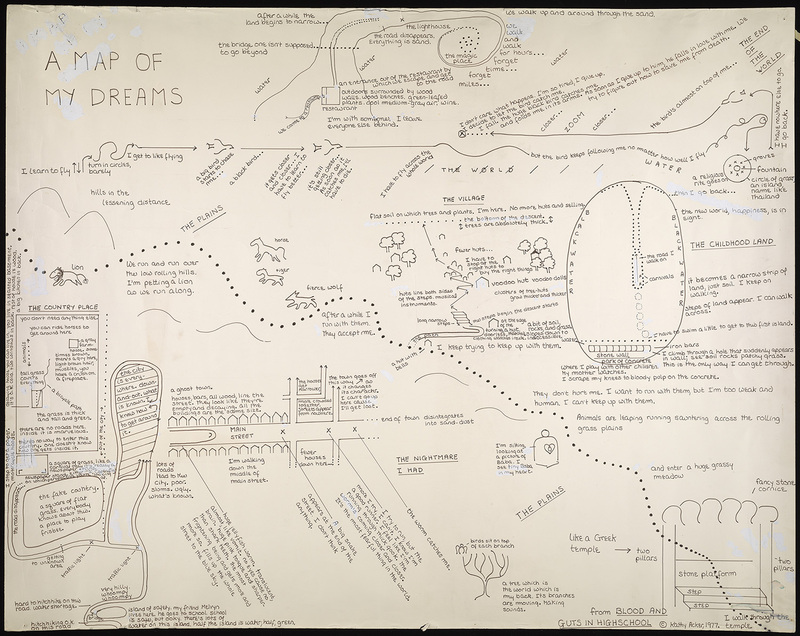 A metafictional account of Acker’s relationship with Peter Gordon, the novel contains reproductions of Acker’s hand-drawn Dream Maps. “My mom,” Gordon recalls, “was a psychologist, and found them fascinating. Kathy gave her a large drawing that my mom had framed. Later, Kathy took the maps back, to include in Blood and Guts,” writes Chris Kraus in the introduction to the new Anniversary Edition, which presents the final two chapters in their correct order for the first time. These Dream Maps have been rescanned, and are featured here in high resolution. (Click the images below to see them in greater detail). Excerpted from BLOOD AND GUTS IN HIGH SCHOOL by Kathy Acker, copyright © 1978 by Kathy Acker. Reprinted with the permission of the publisher, Grove Press, an imprint of Grove Atlantic, Inc. All rights reserved. Scans provided by the Kathy Acker Papers, David M. Rubenstein Rare Book & Manuscript Library, Duke University. Used with permission of Matias Viegener.